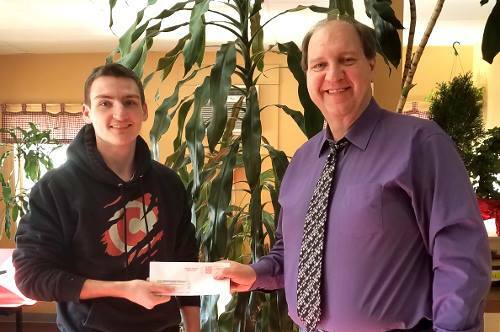 The Society annually awards a $500 scholarship to a graduating Farmington High School senior. The Historical Society took our 2018 scholarship recipient, Charles Withers, to lunch and our President, Stan Freeda, presented him his well deserved scholarship award. He's a fine young man and a credit to our school. Good luck in the coming semesters at UNH, Charles.